Having trouble decorationg for Independence Day? 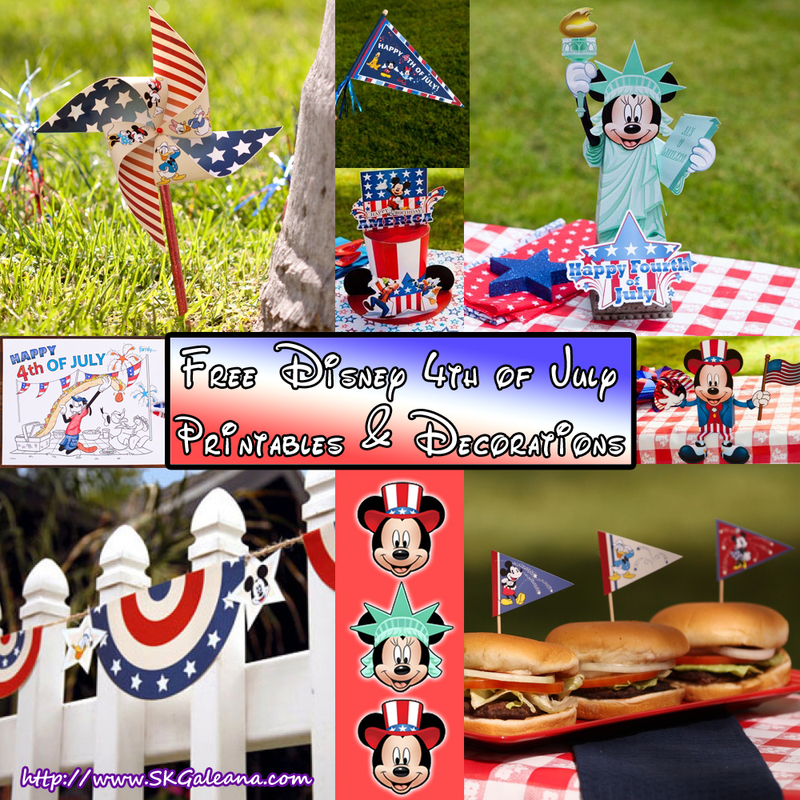 Celebrate the 4th of July with these awesome Disney printables and decorations! With patriotic centerpieces featuring Mickey and the gang, food flags, cupcake toppers, 4th of July flags, coloring pages and bunting, there is enough here for everyone to get involved and have the best 4th of July! Below you will find two centerpieces. One features Minnie Mouse as the Statue of Liberty. The second features Mickey an the gang on a patriotic top hat. Print them out and follow the instructions to create the wonderful patriotic paper crafts! The Food flags are easy. Print them out on regular paper, cut out and glue or tape to toothpicks. Stick them in random foods across the BBQ smorgasbord. 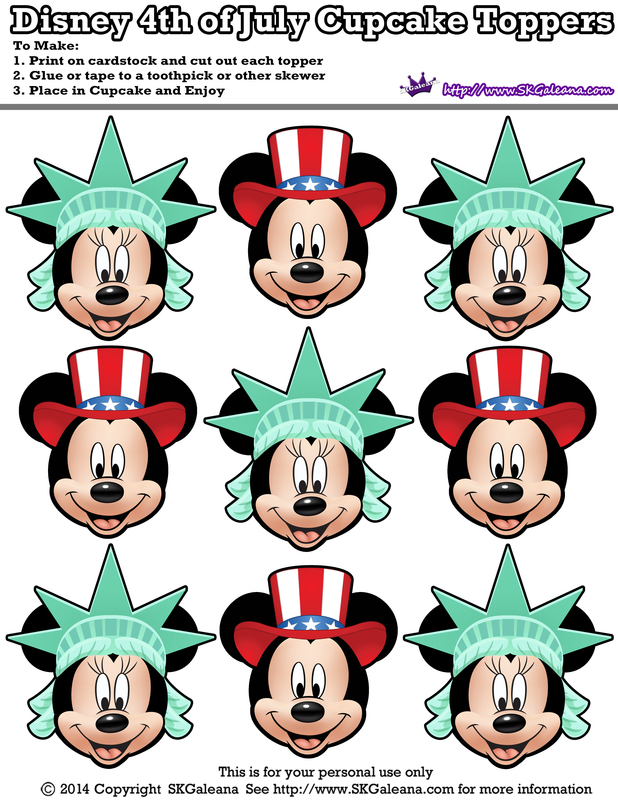 The cupcake toppers feature Micky and Minnie in their 4th of July hats. Cut the shapes out, glue or tape them to toothpicks and stick them in the cupcakes. Print the Coloring page out and place in the craft area so kids have something to do. Include other activities to make it a 4th of July party! To make setting up the party fun and easy, get everyone involved and let even the young ones decorate. It’s could be a party before the party! The printables below are free to download. Simply click the images and save the PDf to your computer. The all you have to do is print and create. These printables were found on family.disney.com. Be sure to check them out for more 4th of July fun.